Welcome to the Tuesday’s Tails Blog hop, hosted by Dogs N Pawz and Talking Dogs! “This blog hop features shelter animals. Find a cat, dog, rabbit or other animal at a local shelter or rescue and feature them on this blog hop! Come join the fun and help a furry friend find a forever home. And while you’re at it, don’t forget to visit the other blogs and share their animals that need forever homes on your social media sites. Please spread the word! Before sharing today’s adoptable dog, a few updates: Deeks, the black Lab mix we shared in late July, has been adopted! However, Kyra (a cat at Best Friends Animal Society), Mocha-Chino (a pit bull mix), and Sasha ( AKA Tsunami – a beagle mix) are still in need of homes. You can click right on their names to be taken to the post for more information. Today we are sharing Meshach, an English setter and blue heeler mix (the rescue and a vet’s best guess). Meshach was rescued in late April from a high kill shelter along with several other puppies. He was believed to be about 12 weeks old at the time of rescue, so I estimate Meshach is probably about 8 months old now. You can find out more on his Adopt-A-Pet page by clicking here. Meshach is currently in the care of For Dog’s Sake Rescue, which is based in Manchester, New Hampshire. For Dog’s Sake Rescue finds homes for animals from AR, AL, and MS. They are a small “grass roots” organization which also pull dogs from local shelters who are in danger of euthanasia. You can find contact and further information on their Facebook page or website, where you can also find their adoption application. Please share and help this handsome guy find a happy home! Wow, what a looker! I’m stunned that he is still waiting for the right person to come along! Sharing and hoping he doesn’t have to wait much longer! I agree…..young and handsome….who can resist that? Thanks for sharing, Beth! He is a handsome dude! Paws crossed he finds a home soon. Somebody just has to adopt this sweet guy! Sharing. It seems like there has to be someone who can’t resist that handsome face! Thank you for sharing, Lisa! Meshach is a handsome fella, I sure hope he finds a home soon. He is a good looking dog, isn’t he? We hope so too. What a adorable happy looking guy, sharing. Hopefully the happy guy finds a happy home soon! Thanks for sharing, JoAnn. Aw, he looks so friendly and sweet! Paws crossed he finds a forever home soon…sharing! He does look like a sweetie, doesn’t he? Thank you for sharing, Chelsea! Thanks for providing the updates! Meshach is adorable, sharing in hopes that he finds the right home soon. I hope to be able to report the rest, including Meshach, finding homes soon too. Thank you for sharing, Mark. Such a happy face, we love that smile and will share! He does look like a happy guy, doesn’t he? Thanks for sharing, Brian! Hope he finds a home. What an interesting mix and so cute! Glad Mesach got out of that high kill shelter. Sharing. Me too. Now to just get him into his own home. Thanks for sharing, Sue! I’m so glad for the three pups! And I hope Meshach will find a new home soon. I will share your ad Meshach and I hope the one who opens his crib and his heart for you comes soon to pick you up. Thank you for sharing, Easy. There has to be someone out there that will be the perfect home for Meshach, right….we just have try to help get them together! Awww!!! What a sweet face! Shared! Thank you for sharing, Jenna! Wag 'n Woof Pets is a participant in the Amazon Services LLC Associates Program, an affiliate advertising program designed to provide a means for sites to earn advertising fees by advertising and linking to amazon.com. A * indicates an affiliate link. 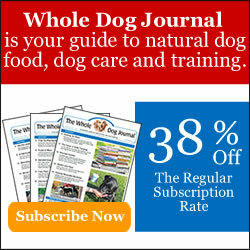 The Farmer’s Dog Affiliate – Get 50% off a trial! The Island Cats on Our Version of Ice-Out! Bell Fur Zoo on Our Version of Ice-Out!